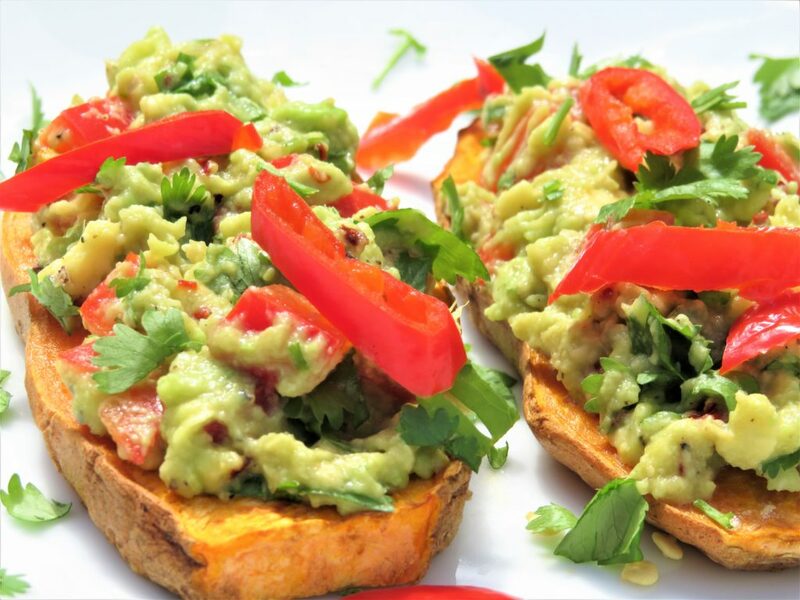 Everyone by now has heard of or had avocados on toast, which is great but, as I am a huge fan of sweet potatoes, I thought why not have a carb free version? This is flavoursome recipe is a perfect weekend breakfast or brunch. It takes only 10-12 minutes to cook and it will keep you satisfied for hours. 1 Place the sweet potato on a baking tray and spray both sides with the oil, then place under the grill on a medium setting. Cook for 10 minutes turning frequently, until they have a little colour. 2 Meanwhile, mash the avocados with a fork. 3 Add the lime juice to the avocados and mix. 4 Then add the red peppers, cracked black pepper, chilli flakes and coriander, then mix. 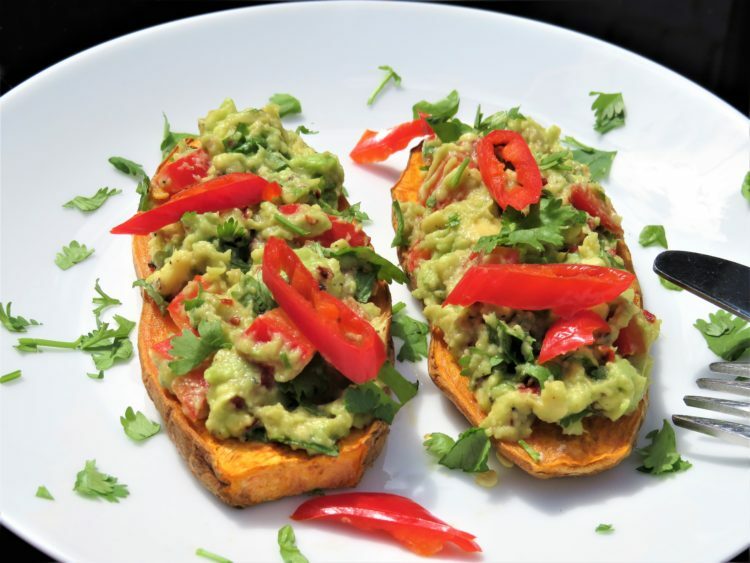 5 When the sweet potatoes are cooked remove from the grill and place the sweet potatoes on a plate. 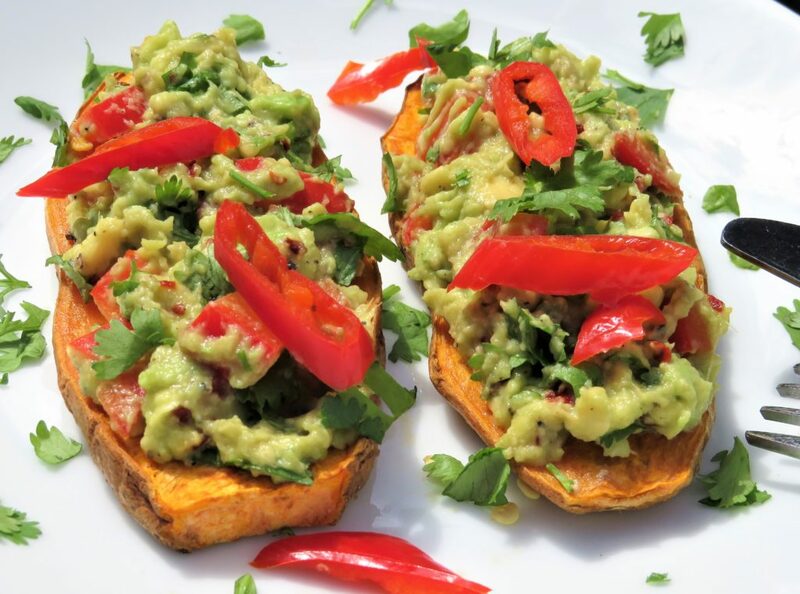 6 Spoon the avocado mix onto the sweet potatoes, then enjoy. Red peppers are rich in anti-oxidants, vitamin-A, vitamin-B, vitamin-C, vitamin-E, potassium and zinc. Coriander is a reliable source of dietary fibre, potassium, calcium, manganese, iron, magnesium, folic acid, niacin, vitamin-A, vitamin-C and vitamin-K which helps with brain function and Alzheimer’s.